After my 3-month subscription was up for Box of Dread, I decided not to renew. I went into a horror subscription box withdrawal until I saw a preview in 2014 for a new horror-themed service by the Nerd Block group. I decided to give it a go and received my first box in June 2014. I loved it! For me, Horror Block grossly outshines Box of Dread foremost in the areas of consistency and quality. Box of Dread‘s downfall is a lock of quality control. I was extremely irritated after viewing other subscribers’ Box of Dread unboxing videos, finding that they received limited edition items that weren’t included in my box. For example, I received a plastic skull in October 2013’s box while some subscribers received promotional Trick ‘r’ Treat items and even a horror drink tumbler (valued around $10). 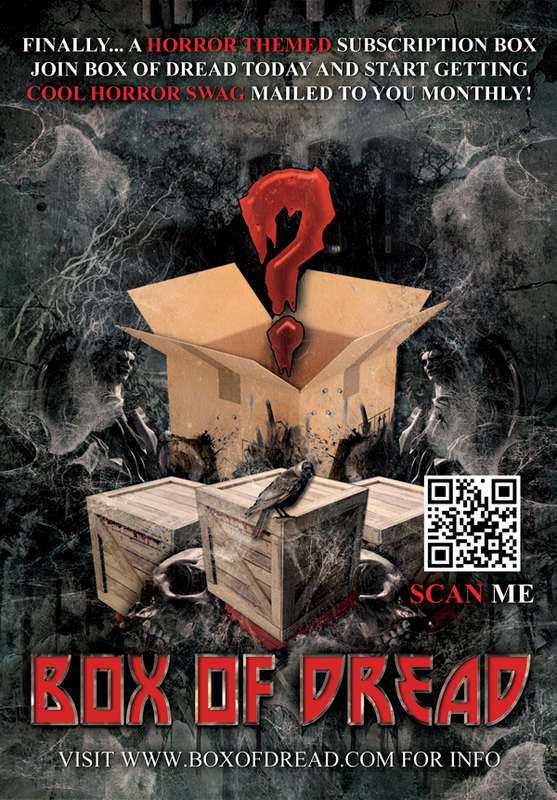 While I think the quality control issues have been improved upon in recent months, Box of Dread still seems like a gamble for me. Horror Block is $19.99 per month + shipping that varies. For me shipping is $9.50 = $29.49 per month. The company ships from Canada so shipping can vary depending on where you live. Despite a $10 difference, I know that each month with Horror Block I am getting a custom-sized t-shirt and the current month’s edition of Rue Morgue magazine. That alone is a conservative value of at least $20. The Horror Block service also consistently includes fun toys and collectible items. I’ve heard some comment that Box of Dread is the only box currently that offers rare promotional items (for example, one month they gave away Penny Dreadful promotional drink containers). I can only say that during my 3 months of the service, I did not receive such items. And again, a note about quality control issues, I could view online that some others had received these promo items and I hadn’t. Instead I received double of a sticker…which really didn’t feel fair to me. Overall, I continue to monitor Box of Dread. I think the service has great potential and I have been impressed by some recent months (specifically the July 2014’s Full Moon-themed box). Ultimately, it still seems very hit-or-miss. 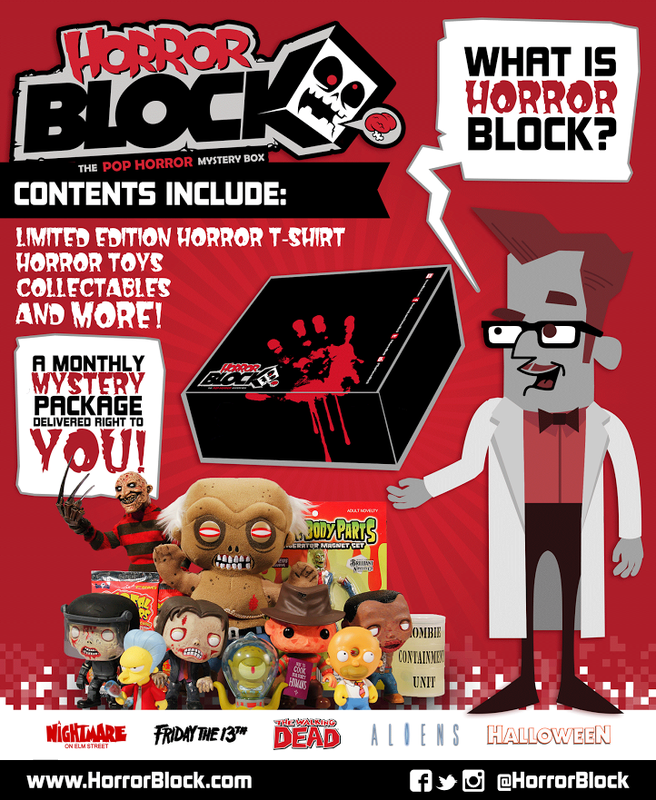 I’m already spending nearly $30 a month for Horror Block (which I absolutely love) but an extra $20 for a box that may let me down is still too much of a risk for me.